Hi, everyone! It’s time for another favorites post! I love the month of August and all the exciting changes that it brings. It also holds really great memories and times with friends and family. 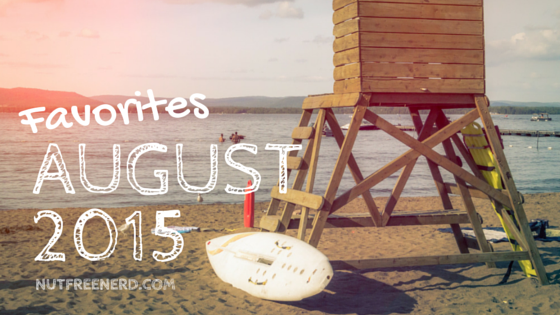 As per usual, here are my favorite things from the month of August! Lost: Still watching Lost, and still loving it! To follow my progress and keep up to date with my thoughts on various episodes, follow me on Twitter and the hashtag #hollywatcheslost. Jane Eyre: After reading and absolutely LOVING Charlotte Bronte’s classic novel Jane Eyre, I knew that I would have to watch the movie at some point. I chose the one starring Mia Wasikowska and Michael Fassbender, and I was so impressed! There are a few things that I think could have been done a bit differently, but overall I really, really enjoyed it! I haven’t watched many movie adaptations of classics, but this one is easily my favorite so far. I’ll be posting a review of it shortly, so stay tuned! 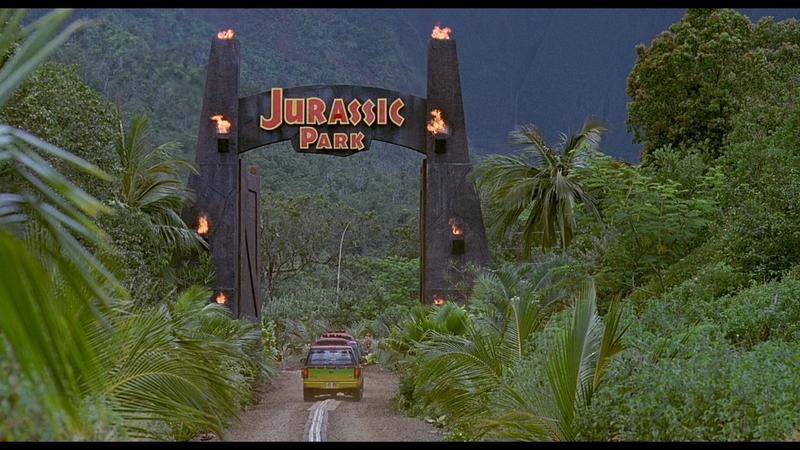 Jurassic Park: That’s right, I FINALLY watched the original Jurassic Park movie!!! I’ve been meaning to do this ever since I read Michael Crichton’s novel Jurassic Park months ago, but I just never got around to it. But I finally watched it, and it was awesome! It wasn’t quite as scary as I thought it would be, but that could just be because a) I read the book, so I knew what was coming next and b) it was made in the early nineties, which means the special effects aren’t the greatest. All in all, though I thoroughly enjoyed it and I can’t wait to write a movie review! 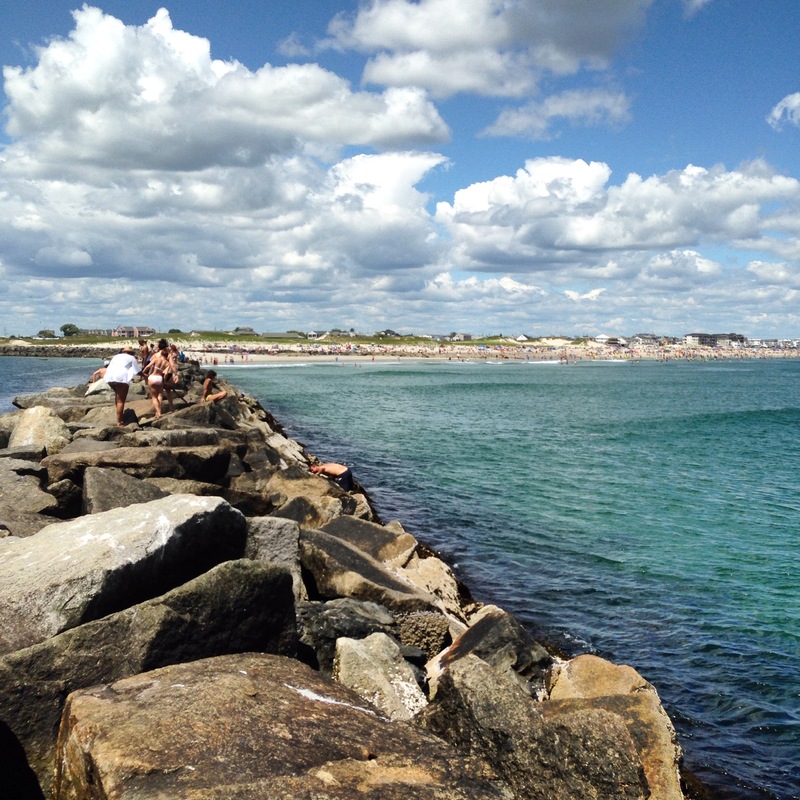 Going to the beach: I have a newfound love of the beach now that I’ve gone so many times this summer! It’s so great to just relax with friends and catch up on all of our summer stories. Plus, it’s beautiful! School shopping: I’M IN COLLEGE! That means I have a dorm room, which means that I needed a lot of stuff! I love school shopping, especially stuff like notebooks and agendas and pens. If you want to see some of the things I bought, feel free to check out my Packing for College Supplies Haul! Blueberries: ‘Twas the season for blueberry picking, so my mom went out and picked a GINORMOUS bowl of them. She even made a blueberry bread for breakfast and blueberry pancakes, which are amazing. When I was younger I thought blueberries were disgusting… what was wrong with me? 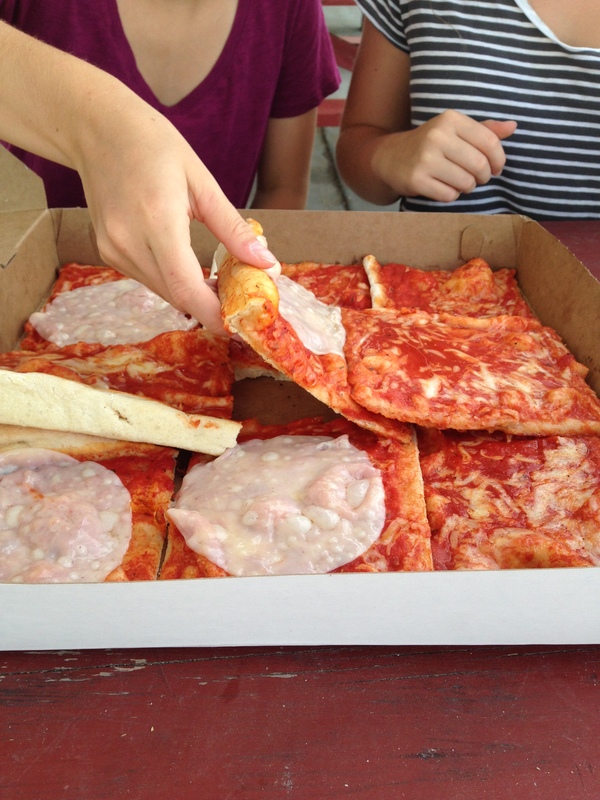 Beach Pizza: If you have never had beach pizza, go have some RIGHT NOW! I’m not sure if it’s only a New England thing, but regardless it is DELICIOUS. It’s in the shape of a square instead of a circle and the sauce is so sweet and I love everything about it. A trip to the beach is not complete without at least one slice! What are some of your August favorites? What do you think of mine? Let me know in the comments section below! OMG, I recently read Jane Eyre too! And yes I love the 2011(?) version of the book. I found it to be really quite suspenseful and dark. Mia is amazing in that film! I love Vance Joy too, he comes from where I live which is so cool. I’ll be seeing him perform when Taylor Swift tours and I can’t wait to experience him live! That’s so cool that you and Vance Joy come from the same place! I’m definitely jealous of your future T Swift plans- it’s on my bucket list to see her in concert some day! I love Eliza and the Bear! They played at my college ball and it was amazing. Good luck at college! Beach pizza is SO good! I highly recommend trying it if you ever get the chance 🙂 I didn’t listen to any of Vance Joy’s other stuff until recently when my friend showed me some of his other music and I was like why didn’t I listen to any of this sooner? It’s great! Holly, you finally saw Jurassic Park!!! I’m so proud of you haha and I agree the special effects are soo good, can’t believe it was made in the 90’s. I remember being really scared of the Jurassic ride at Universal Studios when I was little..
Good luck with college! I really want to check out that music, it seems super cool! Awesome post! Love kodaline!! That pizza looks amazing. It’s not even 8 in the morning yet and I’m already wanting pizza, haha.